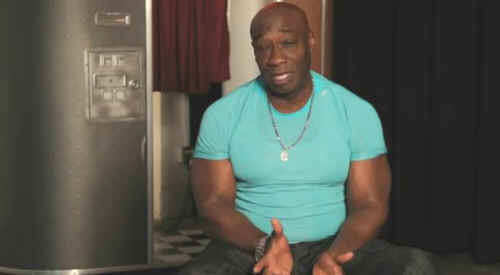 The Green Mile star Michael Clarke Duncan made a decision that so people have done before; he decided to change his health through diet. The former meat eater was suffering from health issues like many other Americans are facing now. He went veg and now, 3 years into his vegetarian lifestyle, Michael wants to share his experience with others. Duncan had this to say, "The best thing about being a vegetarian for me, number one is I know I'm not harming any animals. The number two thing is increased strength. I'm a lot stronger than I was when I was eating meat." He goes on to say, "Don't think that you have to have these gigantic steaks to get your protein. The protein you put in from the beans, legumes, fresh fruits, and vegetables will last way longer, and you'll get more out of it than you will in that 12 ounces of meat."